For many Americans, the autumn season ushers in lots of "tricks" and "treats!" There is a new chill in the air and a seemingly endless supply of pumpkin foodstuffs on store shelves. Neighborhood streets light up with excited, costumed, glow-stick-waving children on Halloween. Thanksgiving is a time for gratitude and being with family, friends, and loved ones. And of course, autumn is all about eating! America's poison control centers want to help you, your family, friends, and loved ones to be poison safe. 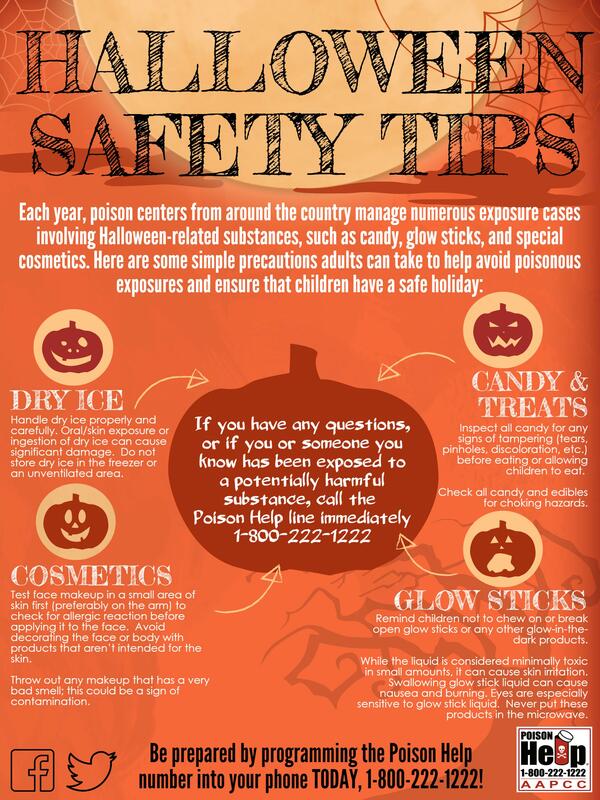 Here are some quick tips for staying poison safe this time of year. One in six Americans will get sick from food poisoning this year. Most of them will recover without any lasting effects from their illness. For some, however, the effects can be devastating and even deadly. 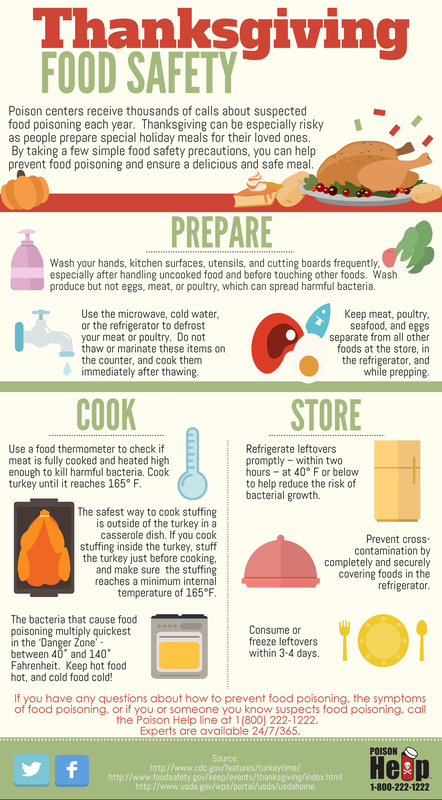 Before you cook your Thanksgiving meal, take a moment to review basic safe food preparation tips. Entertaining guests or hosting family from out of town? Keep in mind that coat pockets, purses, and suitcases may contain medicines not properly stored in child-resistant containers. Give your guests a safe place to store their belongings. Specifically offer a place for them to store any medicines, including over-the-counter and prescription medicines. Glow sticks should be worn, not chewed. Even though the liquid these products are nontoxic, it can be painful to eyes. Call the Poison Help hotline (1-800-222-1222) for tips to wash it off. Use makeup and facepaint meant for the skin. If you are worried about sensitive skin, test the product on the arms before applying to the face. Check candy packages for rips, tears, and potential foreign bodies, but it is unlikely that someone has tainted candy with any poisonous substances.